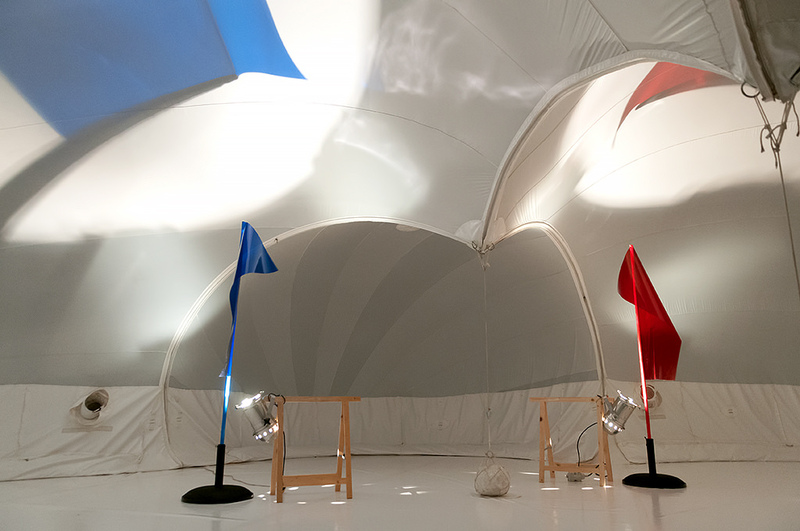 For the whole month of June 2015 the mobile multi-dome structure for immersive and synaesthetic experiences designed by Cocky Eek (FoAM) was the testbed for a range of artists invited by iii to experiment and develop new artworks for the venue, with a main focus on the in-depth exploration of the unique auditive, visual and spatial affordances of Sphæræ. 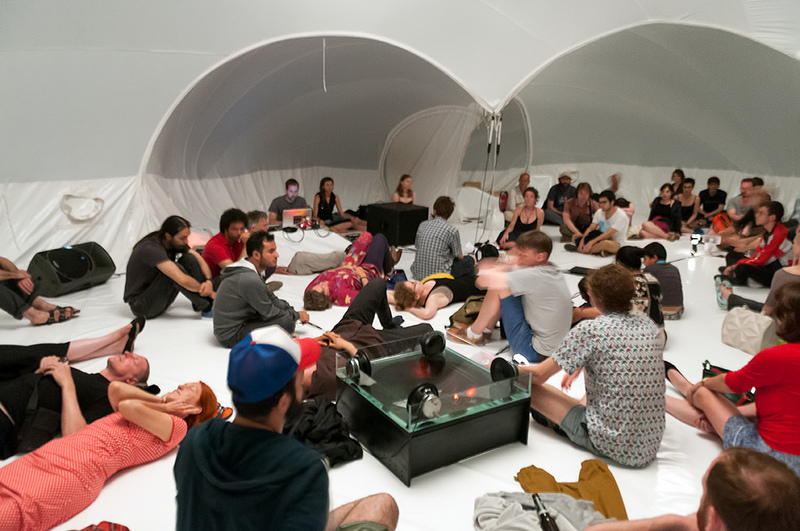 At the 5th of July 2015 a number of the artists participating in the residency presented their results – ranging from fundamental experimentation to full-fledged new works. 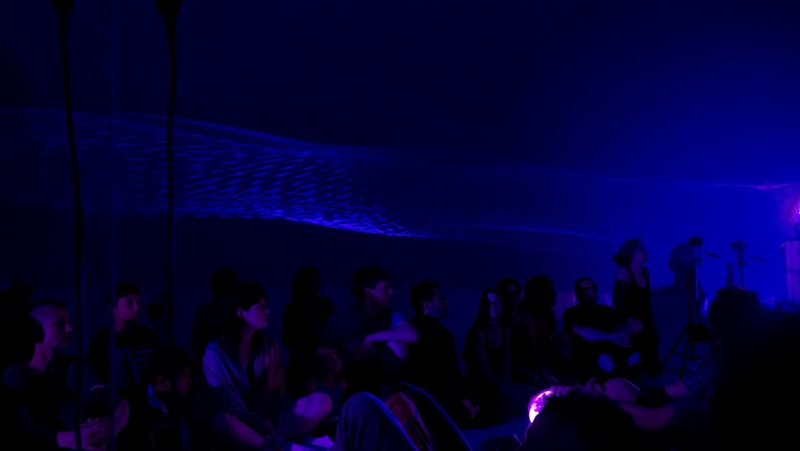 This was an opportunity to experience disorienting acoustic explorations, morphing and breathing architectures and pulsating audiovisual fields piercing Sphæræ’s ethereal atmosphere. Participating artists: Robin Koek, Mischa Daams, Joris Strijbos, Matthijs Munnik, Lola Bezemer, Philip Vermeulen, Matteo Marangoni, Yolanda Uriz, Mike Rijnierse, Rob Bothof, Mariska de Groot, Ingrid Lee and Dieter Vandoren. 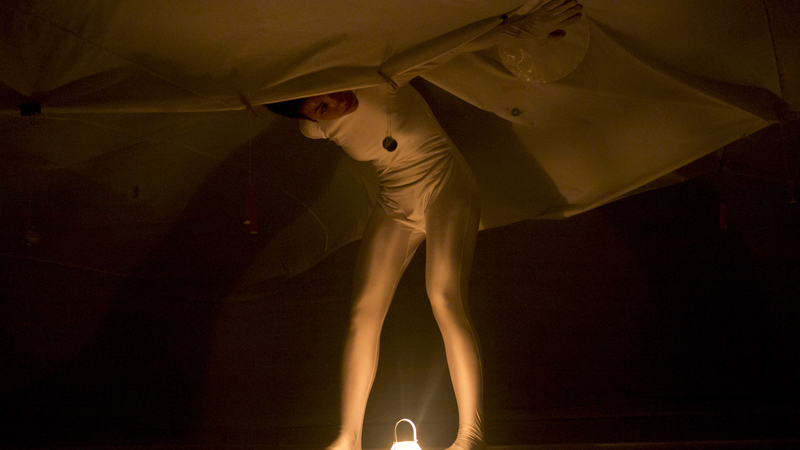 A listening motivated choreography composed for audience members. Places of acoustic interest in Sphaerae are marked and coded. Participants are provided with a score consisting of instructions for specific listening actions and positions according to the floor markings. 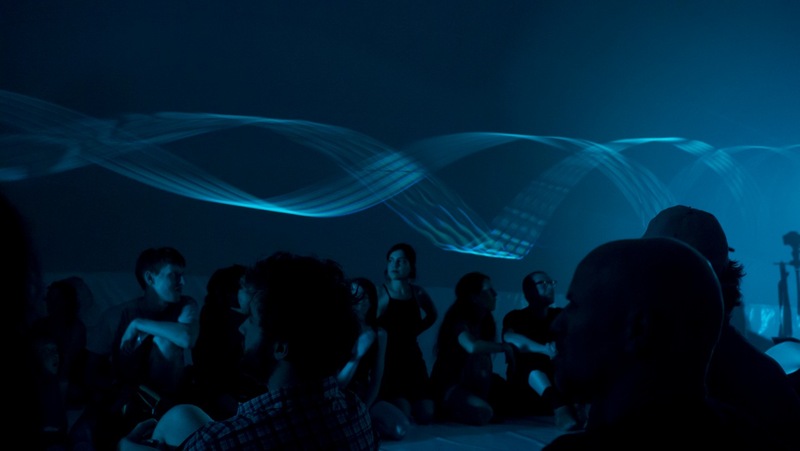 The piece has two parts, the first being the experience of the participant/audience performing the score and the second consisting of witnessing or listening to this experience. 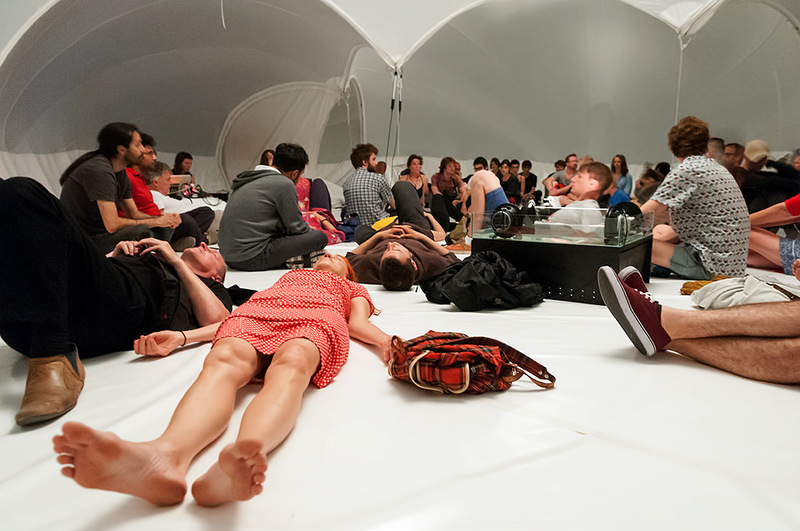 Participants essentially become performers as they move through the space, moving their bodies and making sounds in what could be seen as an ensemble. 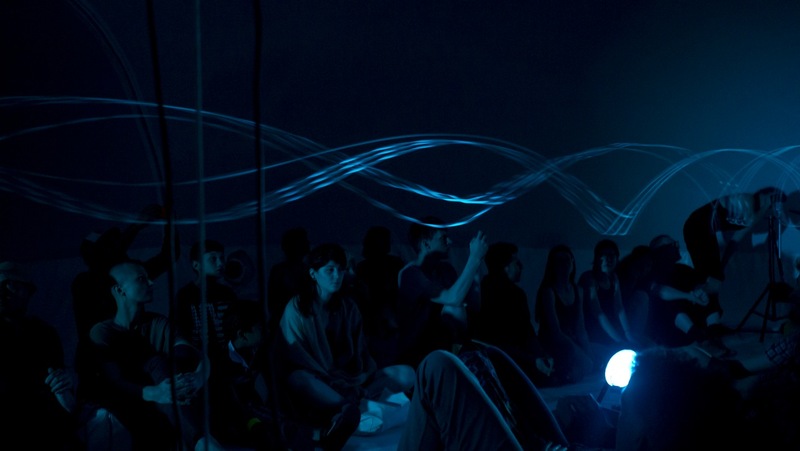 Ten meter long strings and a heavy motor are placed inside the Sphæræ. 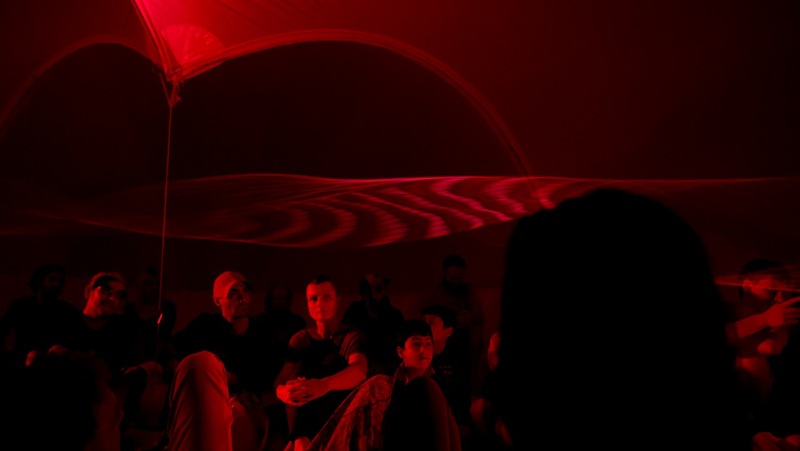 The installation plays with patterns, colour and the perception of the viewer and electro acoustic sound. 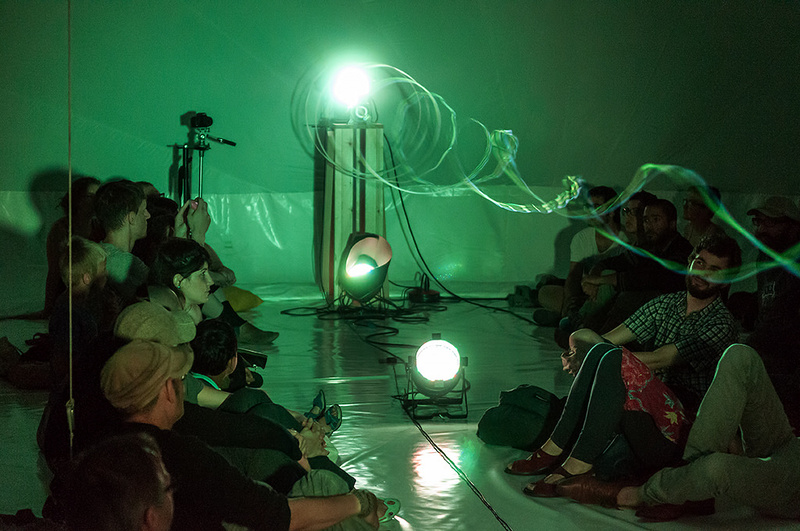 The work ‘Cetacean Spheres’ explores the phonetic syntax of different dolphin species based on hydrophonic recordings. 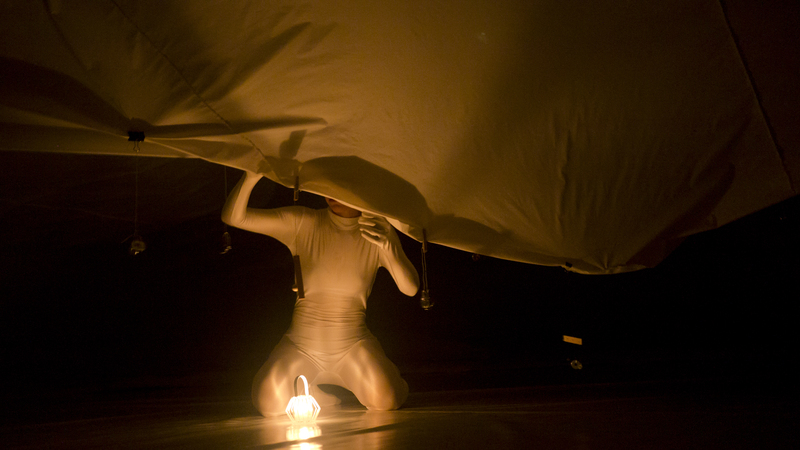 The perfomance is a spatial study composed specifically for the dimension and acoustics Sphæræ. Recordings of pulse trains and echo-location clicks illuminate the acoustic properties of the multi dome in an immersive cetacean field of dolphin vocalizations. The sound distribution constitutes of 4 speakers and 2 horn drivers. 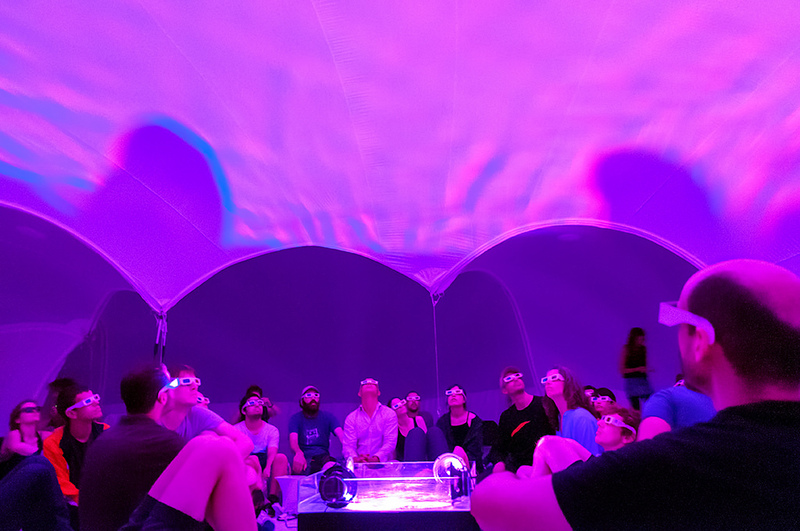 An installation to be submerged in a liquid universe of underwater sounds looking at three-dimensional sound waves floating in space with the use of 3D glasses, to dive in an ocean of sensual stimuli. A rectangular red and blue are wavering. Light shines through these shapes and transfers color onto Sphaerae’s surface. Through the air flow and projection onto the rounded surface, the rectangles are morphing into curvy forms. The installation is based on the kaleidoscope which operates on the principle of multiple reflections, where several mirrors are placed at an angle to one another. 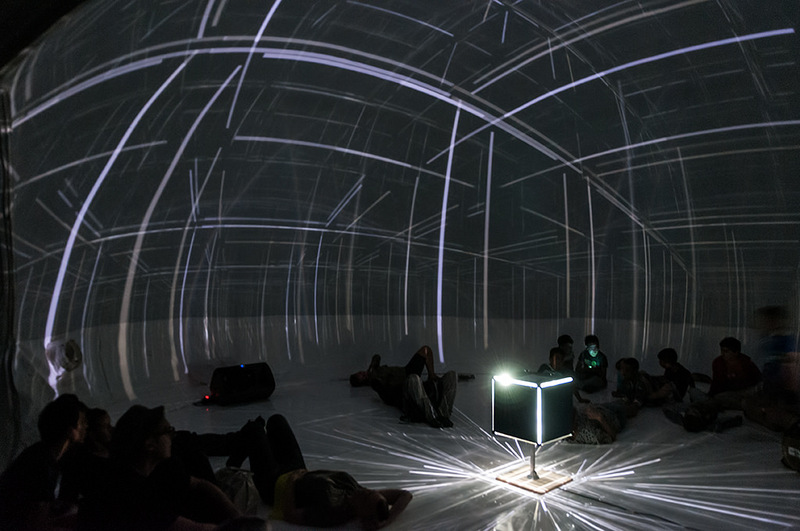 In contrast to the classical kaleidoscope, where light enters the object, in this work a set of lights inside the object projects the multiplication outside of the object into the space. 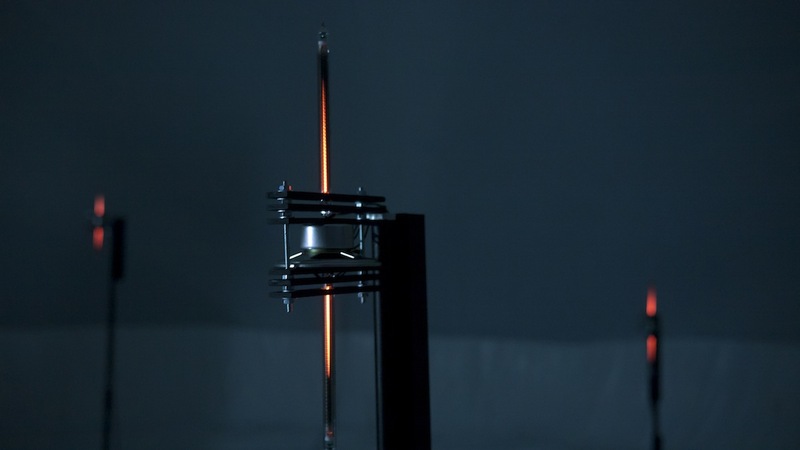 Directed by an algorithm that controles light and sound. 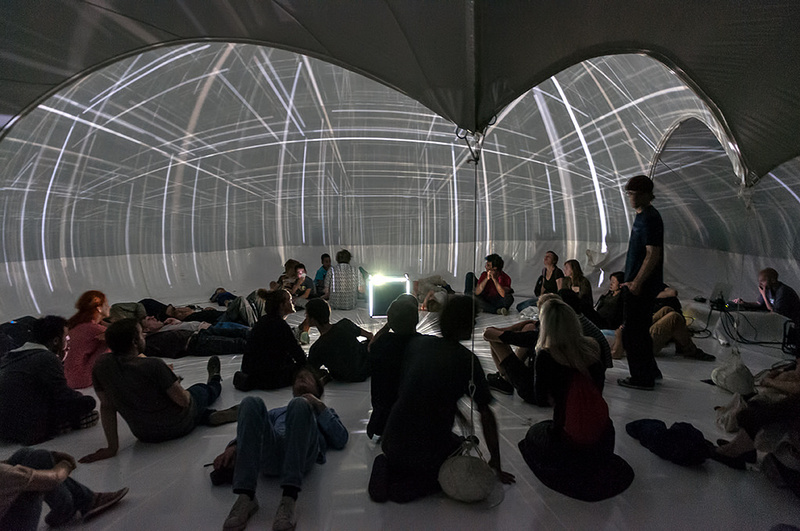 Field.1 is a spatial installation and audiovisual composition created for the Sphaerae inflatable dome pavilion. 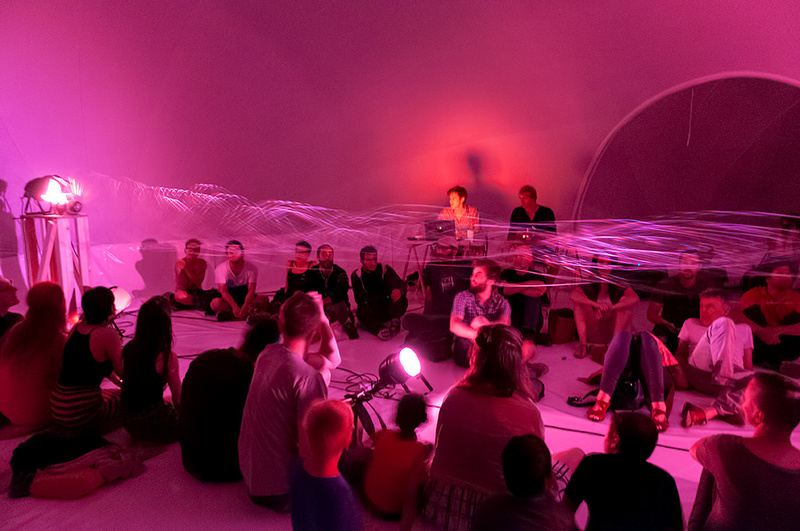 A field of light and sound radiates from nodes scattered around the space, navigated by the audience. 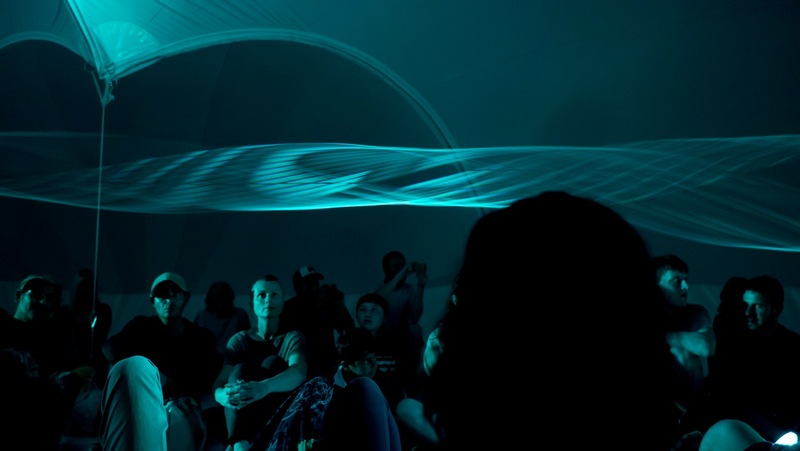 Retro-tech linear neon tubes paired with miniature sound transducers pulsate light and sound signals through and around the environment. The vertically oriented neon lights pierce the pitch dark space with undulating motion. 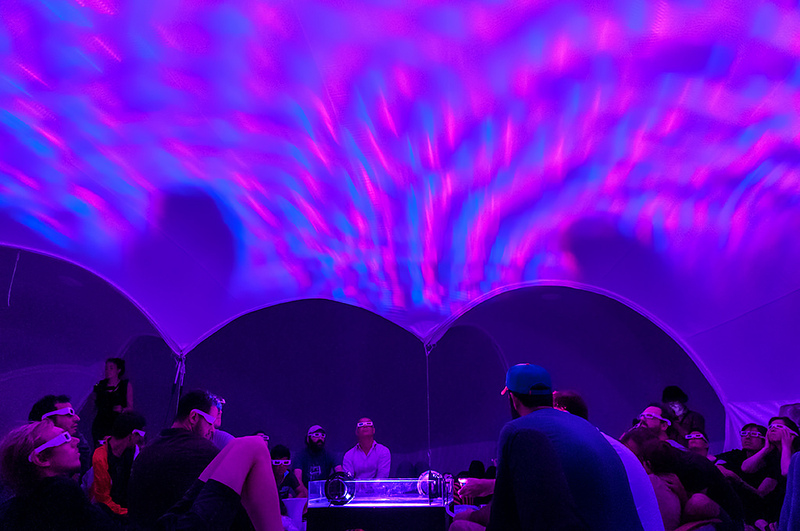 The speakers project their sound waves into the Sphaerae’s domes, amplifying them to an immersive cloud of reflections and resonances. ‘Atlas, Sheep Herder of the Sky’, a piece in which two gracious hercules columns sail though quiet and stormy seas like caryatides playing hide and seek in the clouds.